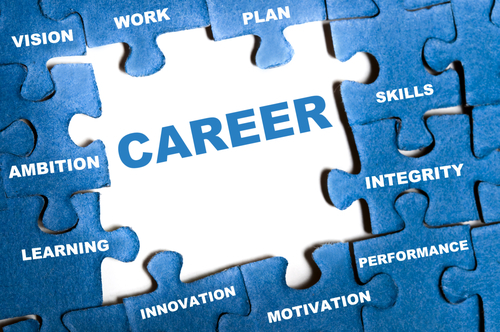 One of the most common questions I am asked is, “What do career counselors do?” Usually people ask this question for one of two reasons: (1) They are considering becoming a career counselor themselves and they want to know what the day-to-day job is like, or (2) They are considering hiring a career counselor and they want to know what career counseling looks like in practice. I wrote this article to give some insight into how career counselors work. When I meet with a client for the first time, I ask questions and I listen closely. I ask clients to tell me their stories, their favorite things, what they are good at, what they enjoy, and their current barriers and successes. For me, helping a person reach their career goals is about each individual’s story, what they love, who they want to be, and how they want to get there. As an example, one client I worked with knew he wanted to go into the field of psychology, but he was unsure of what to do next. Over the course of our time together, I asked clarifying questions including, “What type of work do you see yourself doing?” and “What about the field interests you?” Among other things, he shared that he was interested in working with clients to make their lives better. We discussed how broad the psychology field is and that there are many different paths to counseling and therapy. We discussed who in his network could connect him to different professionals in the field, and how to set up quick informational meetings with people in his network to learn more. I helped by providing the structure and outline so he could take steps forward toward getting his questions answered. When we next talked, he had spoken to a number of people in the field and decided about which area of psychology he wanted to focus: Marriage and Family Therapy. Over the course of our next meetings, we talked about resumes and personal statements for graduate school applications, how to apply, how to organize, how to choose a university and program, and how to interview. Because he had researched fit, knew what the program was looking for in applicants, knew that he wanted to focus in the same areas as the program, and was able to express this throughout his application. Because of the thoroughness of his research, he was accepted into his first choice program. Many clients I work with are in transition. They are transitioning from a university to the working world, from one career field to another, from not working for a while to working again, or from a lower level to a higher level position. Many people feel lost at sea when they are trying to make a big career transition, so I pride myself on helping them navigate. With me as your compass, you have a guide to accompany you in the journey toward attaining the goals you want to achieve. I am a great partner in your career journey because you’re the expert on you, and I’m the expert on career development. You contribute your self-knowledge, and I can help you discover or develop the directions you choose to go. I present options; you make decisions. I give direction; you determine what will work best for you. The best news is you can check in with me every step along the way. Logistically, in the beginning of our sessions, we will decide on short and long-term goals. We’ll discuss the purpose and intended outcome of our meetings and what you hope to walk away with. We’ll map out a plan for about how many sessions it will take to get there. Then we’ll focus on this particular session. We’ll figure out what we can complete right away, what work needs to be done outside the session, and when we should meet again to discuss progress and next steps. Some people prefer to meet weekly, while others like more time in between sessions to complete tasks we have mutually agreed upon. I encourage each client to determine what works best for his or her situation. I have found that clients feel empowered when they know what they’re doing makes sense. When a client tells me, “My friend who works for so and so told me to do this,” I always ask why. What was the reasoning for doing that? Sometimes the reasoning is sound, and we agree it’s a great idea and something to keep doing. Sometimes the reasoning was for a particular time or a particular position or employer and doesn’t apply to where they are now. Since time is valuable, it is important to examine each possible action to utilize time in the best way possible. My favorite part of my job is when I hear from a client that they had an epiphany about what avenue to pursue, were accepted into medical or graduate school, or got the job. I love celebrating successes with my clients. That’s the best part of the work we do together! April Klimkiewicz is the founder of the career counseling company, Bliss Evolution. Please visit her site to learn more about the services she offers to help clients find or create their “best fit” work.